Bengaluru: A private firm “Neolacta Lifesciences Pvt. Ltd.” is all set to sell breast milk collected at the Vani Vilas Hospital from mothers, outside the premises of the hospital, at the cost of Rs. 300 per 15 ml, if it gets acceptance from Bangalore Medical College and Research Institute (BMCRI). A proposal in this regard has been sent to the research institute by the said firm in May this year. The proposal permits the company to sell breast milk collected from mothers at the said cost, within the entire state. However, it also mentions the provision of providing the milk to sick and preterm babies in Vani Vilas Hospital for free. As per the proposal, the milk will be collected and transported to a “pharmaceutical grade” facility in Jigani. There it will be processed and then stored for supply to the babies. As reported by The Hindu in its latest report, Satish Tiwari, National Convenor of Human Milk Banking Association (of India), said that although there are around 25 breast milk banks in the country, milk is not for sale in any bank. 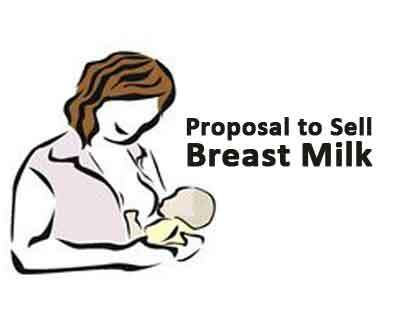 If the said proposal is accepted by BMCRI, breast milk will be up for sale for the first time in the country. Dr. Premlatha, Head of the Department of Paediatrics in Vani Vilas, said there was a need for a breast milk bank in the hospital as it attends to nearly 4,000 sick babies a year. Although the idea has benefits for the starving babies, who cannot get adequate milk from their mothers due to medical reasons, the proposal has been opposed by certain legal and medical fraternities within the state. Breast feeding advocates and doctors have raised negative impacts of the idea of commercialization of human milk. They have called it exploitation of poor mothers within the state. In your opinion, Should Breast Milk be allowed for Sale? If mother\’s milk can save other premature babies then yes it should be allowed , just like other organs are allowed to be transplanted. Another form of Commercializing motherhood. I hear, Rural women are being used as Breeding Machines promising money that is never given to them. Is motherhood so cheap? What is wrong with this world, Some are fighting for women\’s rights – saying they should not be used as marketing tools in advertising campaigns. Is this not a part that is so exclusive to a woman ? How far these forces gone, instead of nipping at the bud, they have jumped to another stage of womanhood. Crazy, There will be many suppliers in the red lite areas too. breast milk should never be for sale as tomorrow it is going be another way of making business and also this milk taken for processing what is the guarantee that all the nutrients will be present as fresh milk for the child. a mothers milk is best when taken directly and this sale business is against the basic values of mother child relationship. it should never be allowed , especially when there are good milk supplements and powders which can be used even for sick child. Hi Varky, any bodily tissues/organs should never be for sale. Human milk from the body is considered a tissue. That being said, Breast milk is the optimal nutritional source for new born babies (all animals feed their little ones) as it contains important unique immune factors (immunoglobulinA) and proteins which cannot be substituted from any another animal\’s milk. Therefore good milk supplements and powders (which comes from another animal source) is not good for little preterm babies who are fighting for life and who are prone to gut infections and other complications if administered something which is not original protein source. In many countries including India, Human Milk Banks are set up to meet the gap in neonatal health. (India is the largest contributor to infant mortality in the world-40%). For mothers who can not immediately initiate breastfeeding and who have sick babies, the doctors recommend at least donor human milk. In order to minimize risks associated with giving another donor\’s milk, the donors are screened for infectious diseases, the milk is tested of germs and the milk is pasteurised (heat treated-62 degree for 30 minutes-similar to boiling cow\’s milk) and then administered to those really sick babies. Pasteurisation retains 80% nutritious profile of the milk and is still better than giving formula to those tiny babies fighting for life. Donors who donate their milk, do it for altruistic reasons and they are not remunerated. It is mothers wanting to help another mother and her baby. There are a lot of milk banks in the world who operate as not-for-profit organisation. The only commercial milk bank in the world is Prolacta and the second one will be Neolacta.